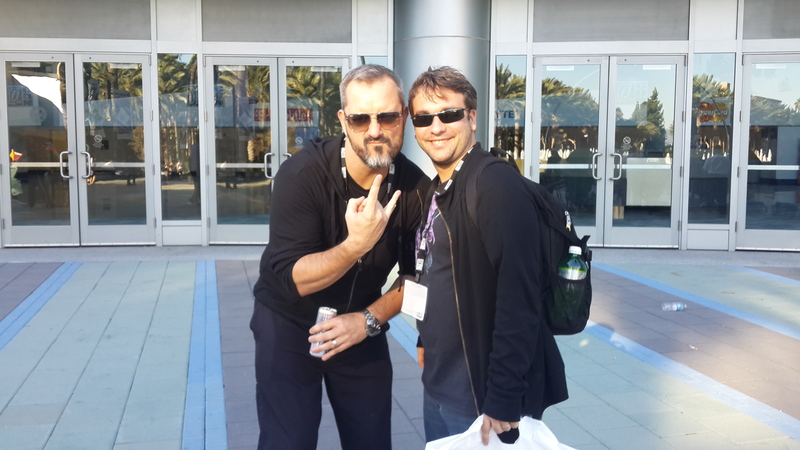 Going to BlizzCon is a wish shared by all Blizzard gamers. We also had this dream for a long time. At first we thought about going to BlizzCon 2013, but we couldn’t have the chance due to marriage preparations. 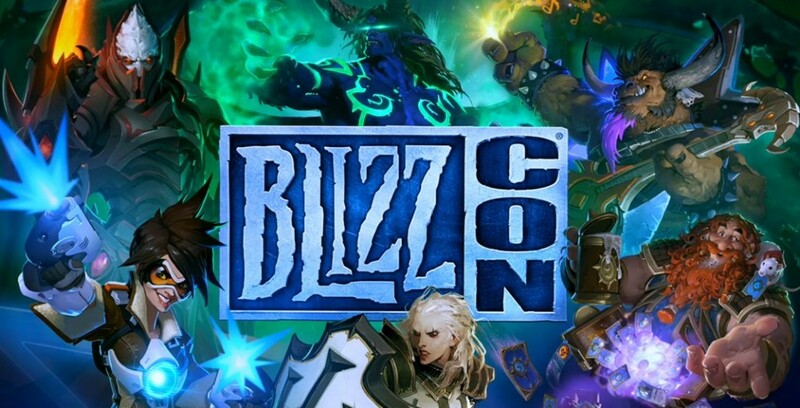 Since we prefer a BlizzCon with new World of Warcraft expansion, we delayed our plans to 2015. It is quite hard to be patient after arranging everything for travel like tickets, plane and hotel. However there are some points that need attention before the journey. For instance, you have to be careful about the deadline for changing BlizzCon ticket information, and don’t forget to check the plane and hotel notifications. Especially in connecting flights, there can be some changes by the airline companies. We had a similar change in our return flight and Expedia asked our permission via e-mail. As our new flight had a 7.5 hours of layover, we couldn’t accept. We called Air France and they changed our return flight to KLM Airlines, which had a connection at Netherlands instead of France, without asking any extra charges. One day before our flight, we tried to change our sleeping pattern by setting the clock according to California time; but it was not as easy as we had predicted. It takes a few days to recover from jet-lag. First part of our flight was from Istanbul Ataturk Airport to Paris Charles de Gaulle, which is a huge airport where subway is used for transfer between terminals. Terminals are like shopping centers. There is a huge variety of shops, PlayStation units and music lounges where you can sleep in a special designed couch while listening music. If you have a connecting flight, we advise you to use this airport. Our flight from Paris to Los Angeles was pretty long but comfortable beyond our expectations. They served breakfast plus two more meals, snacks and ice cream; they also provided headphones, blanket and eye cover. Even though it was daytime with a bright sun outside the plane, inside was dark as night to make passengers adapt to the time difference. There were also a great variety of movie and music selection, games and even information about the flight with live camera view on interactive screens. A form is handed out on the plane to be checked before entering United States. You have to be careful when filling this form and fill a new one if you make a mistake. Just one form is enough for a family. Flight attendants might help if you have any questions. When we arrived at Los Angeles airport, there was an insane visa control queue. It may take hours so I suggest you to get into the queue as soon as possible. In the end, they checked the form and asked us about our vacation. We passed the control point without a problem. We were finally in the USA. You can arrange a vehicle from L.A. airport to the hotel before you arrive, but you can’t predict how long you’ll have to wait in the queue. So taxi is the only solution unless you rent a car. Taxi cost is slightly higher than $100 from Los Angeles to Anaheim including tax and tip. All prices in the U.S. are before tax and you need to pay a tip based on your appreciation. Taxes in Anaheim and Los Angeles are around 8% or 9%. Tips are changing between 11% and 20% of your bill after tax. We used a taxi to go Anaheim and settled in the hotel. Since we were very tired due to the long journey, we spent our first day resting and exploring the perimeter. We found several fast food restaurants and 7/11 in a 15-minute walking distance. On our second day, we found a travel agency at a 30-minute walking distance and made 2-week long vacation plan for the places we wanted to visit. 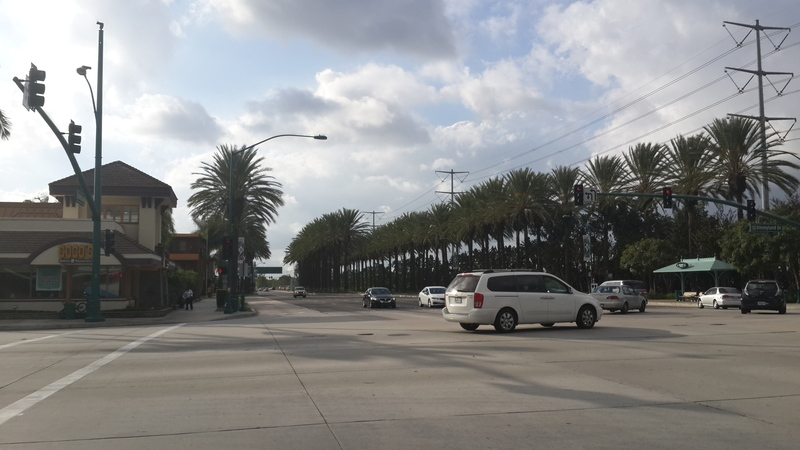 We spent the rest of the day in Downtown Disney District, which is at a 20-minute walking distance to Anaheim Convention Center. 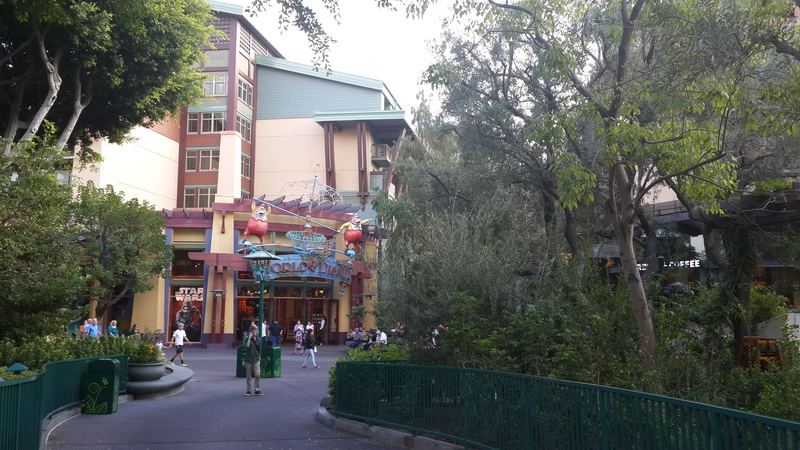 Downtown Disney District is an open-air complex of souvenir shops, movie theater and restaurants. We walked around the whole district and had dinner at Rainforest Cafe. American food portions are large enough to feed 2 people and even the deserts supposed to be for 2 people are enough for a whole family. Waiters, who take care of your table, show all the interest they can from the beginning of your meal to the end, and they really deserve the tip. 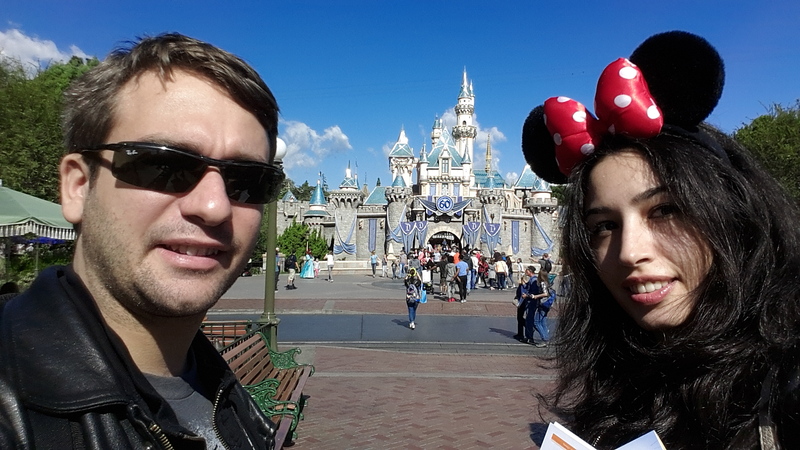 We spent the next two days in Disneyland. Disneyland in Anaheim is separated into two as Disneyland Park and Disney California Adventure Park. We recommend to enter the parks at opening time in the morning, because each park takes one whole day to enjoy everything inside. There are special events for each day at different hours. Therefore check the event schedule beforehand if you want to participate. Disneyland is truly a magical place and we can’t imagine a better way to spend time until BlizzCon. Also BlizzCon attendees may have a discount for pre-purchasing Disneyland tickets online. We advise you to get up early on the day before BlizzCon and get in the line for badge distribution and BlizzCon Store opening. We were in the line at 07:30 AM on Thursday morning. The doors were opened at 09:00 AM. Your passports and BlizzCon ticket prints with barcodes will be checked after you get in. Then you will deliver the ticket prints to get your BlizzCon badge and Goody Bag. We immediately got into the line for BlizzCon Store after we got our badges and goody bags. BlizzCon Store is open only to BlizzCon attendees and it’s not possible to get in the line without a badge. You should check the products you are going to buy via a catalog, which is distributed at the entrance of the store. After the line you should go to a cash desk and show the products you would like to buy from the catalog. Your products are delivered from the storage inside and you check out after all of the products are controlled. If there are any issues with the products you bought or if you want to make a refund, you can bring them back to a separate cash desk. We completed shopping within a reasonable waiting time. Later we had to make returns due to issues with some of our products but everyone was very helpful each time. There are many parties and activities before and after BlizzCon. 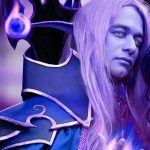 You can learn everything about these organizations on BlizzCon Facebook groups. We preferred joining the WoWhead party, which was held on the evening before BlizzCon. There was a huge line to enter the party but it was worth it. We saw the drawing made by Işıl for the World of Warcraft: Legion wallpaper contest, and managed to catch a Frostwolf Cub plush with Işıl’s talented hands. However we couldn’t stay for long at the party, because we were going to wake up before the sunrise and had to save our energy for BlizzCon. The day we had waited for many years finally arrived.